A podcast that seeks to dig into curiosity, step into the unknown, and find what lives behind a question. Often before curiosity even becomes a conscious question, Kyle finds himself turning down paths and into situations that would have most people paralyzed. These episodes are chock full of vivid, often outlandish, yet true stories of life on the road, as well as exploring the many questions that arise, which put one foot in front of the other. Occasional special guests and experimental formatting. After all, let's wander where this goes... together. Each question reveals a new door. Ask that question and the door opens. Explore that question by stepping across that threshold. In this new space, we can discover new experiences, tools, and perspectives, that can create healing, peace, adventure, connection, and freedom. This podcast is discover these thresholds together. "Have you ever done Spoken Word poetry?" We never know from where, or from who, inspiration is going to strike. For episode 2 of Wander Where This Goes, which seeks to follow curiosity, and find what lives behind a question, inspiration came from a combination of a week in Israel, a question from a friend, and a stranger on a train in London. This is the woman on the train. I took the photo on my train ride in London, on the way to the airport to come back to the US. As she sat peacefully... I mean real peacefully, the entire trip, it moved me to write and record this Spoken Word piece. Poetry Foundation describes Spoken Word art as performance that can encompass or contain elements of rap, hip-hop, storytelling, theater, and jazz, rock, blues, and folk music. Characterized by rhyme, repetition, improvisation, and word play, spoken word poems frequently refer to issues of social justice, politics, race, and community. Enjoy, and let me know if you'd like to hear more! If you enjoyed this, it would mean the world to me to get my very first "ratings and reviews", which turns out makes a real difference of other people able to find it. So yes, please do leave me a review on iTunes. However if you have feedback, please send me a comment or message directly for how to improve in the future. "When your world is small, your problems get big. When your world is big, your problems get small." Since I first experienced my first earthquake in 6th grade, I've been dreaming of and yearning for opportunities to "feel small", or rather have my world feel big. I was fortunate enough to end up in Bali, Indonesia in November of 2017, where I came face to face with Mt. 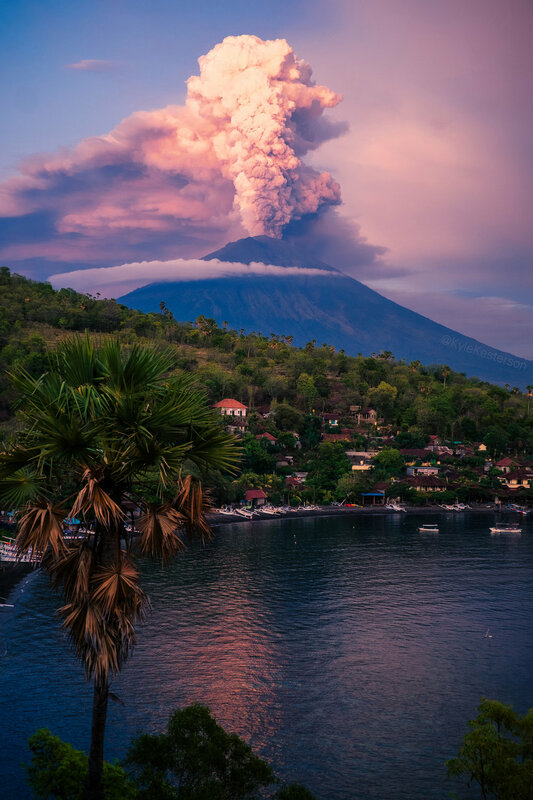 Agung as it was erupting. This podcast is the first episode of Wander Where This Goes, which seeks to dig into curiosity, step into the unknown, NOT taking the easy route, to find what lives behind a question. Discovering and exploring questions like, "What is my breaking point?" Tools: a physical practice to transform fear into excitement. 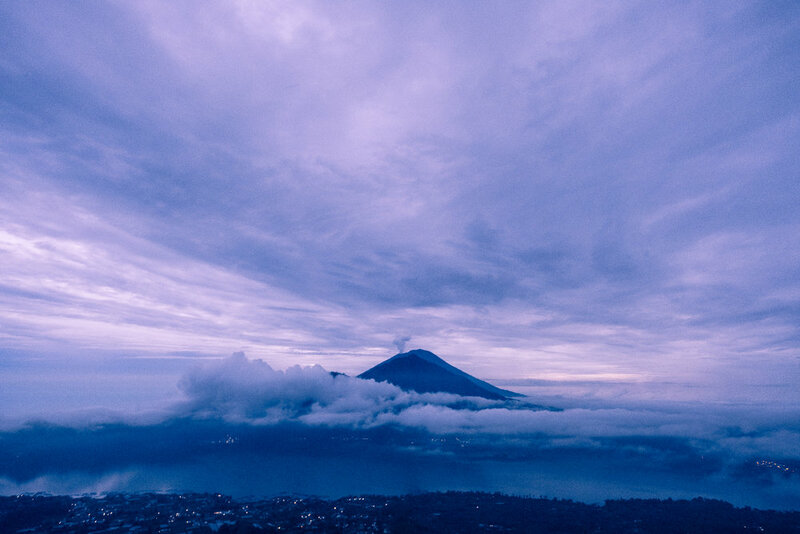 Here are more images and a video from my time in Bali during the volcano hike and Mt. Agung eruption. In the Red Zone, a proximity in which debris can fall and be deadly.